Love it! Very fluffy and the color is exactly like the photo. This limelight yellow, pin-tuck design of a comforter set is about as yellow cheery sunshiny fabulous as happiness gets. With an inviting, thick 280-GSM inner fill, this comforter's machine-washable design and included sham(s) are the answer to your bedroom decor dilemma. OM gosh, I Love this pin- tuck comforter! The bright yellow is stunning! I would definitely recommend this comforter. This comforter is a pleasure to wright a review for. It is a soft, beautiful shade of buttery yellow, I have ordered a yellow comforter before and my daughter said that I looked as if I was getting out of an egg yoke. It was very bright yellow, one child said it looked like a boy scout's sleeping bag.Needless to say, it was returned .This one is just right ,and I'm so glad Overstock gave me another chance to change the words needed . Thanks OVER stock for making this company live up to the standards they want their customers to too. Precious comforter! 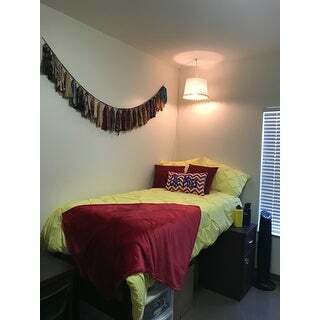 The tucks throughout the comforter made it look fabulous n the dorm bed! The comforter is very soft and plush. However, I sent it back because it was to bright for me. It is a very neon bright yellow. It would definitely work as a center of attention for your bedroom. I gave it five stars because it is a beautiful comforter. It was just to yellow for me. Lovely comforter set for my daughter’s dorm room. She loves the color yellow. The comforter is super soft feels like you’ve landed on a cloud. Washes well with no fading. I love, love, love my new comforter! The vibrant yellow color brightens up my whole bedroom. I love that it comes in a larger size to cover my queen bed. Absolutely beautiful! 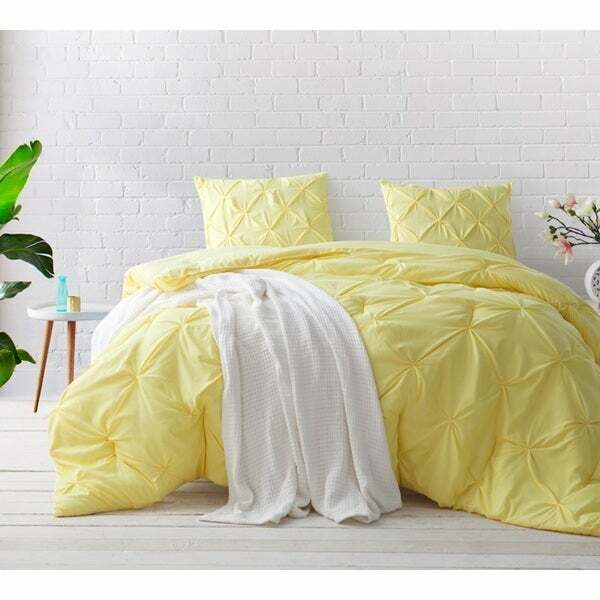 This is my first yellow comforter and there is something about that color that, along with the feel, makes me feel so refreshed when I get up in the mornings. Softest comforter I owned. Just love it! Beautiful comforter. Seems to be of great quality and color is exactly as shown! I wanted a Disney princess inspired room, and this definitely works. Very comfortable, soft light material and extremely warm. The set seems a lot brighter in person. Very fluffy and retains warmth well. Would buy again in a more subtle color than the neon yellow. I love this comforter! It is beyond my expectations!! Thick and it actually hangs (not in a bad way) soft.. I have nothing bad to say. Bought for teenage daughter and she loves it. "Will it fall apart in the washer machine? Reviews says it got messed up after a machine wash even though it claims machine washable"
"How do In order this in Twin size?" Unfortunately, the twin option is currently out of stock. "What are the dimensions for king size?" The BYB Limelight Yellow Pin Tuck Comforter Set in the size King has the dimensions 112" x 98" and includes (2) Pillow Shams that are 20" x 36"
"Other colors? Any problem with the tucks coming loose? " "I love this bedspead does the sham included. Do you have charge accounts or is everything paid on cash only"
Yes, the shams are included. We take most major credit cards for purchases.